Quickspin slots are regular options in some of the best slot tournaments. This is one of the many reasons for Quickspin to bundle 5 of its slots both old and new and start their very own tournament. It may be hot outside, but wait how hot it will get at your favourite casino when players try their best to win part of a total prize pool of €70.000! This way, Quickspin isn’t only giving back to its dedicated players. The studio also showcases its experience with tournaments. After all, Quickspin built its very own tournament feature to give players extra incentives to enjoy their favourite slots. Slot tournaments are great social experiences. Checking the ranking to see your current place in relation to others can feel very good, especially if it means you win a prize. Still, you don’t have to be too competitive and feel tempted to gamble more than you’re comfortable with. As in any good slot tournament, Quickspin divides its generous prize pool among 50 players, giving a number of people a fair chance at a win, Also, don’t forget about the money you may win spinning the reels at your favourite Quickspin slot. The tournament starts soon, so mark the date on your calendars. It runs for a week in total, from July 30 to August 5, 0:00 CET to 23:59 CET. In order to make things gradually more exciting, the summer slot tournament is divided in daily tournaments and a big weekend tournament. On Friday August 3 the big weekend tournament begins. On Friday and during the weekend, the prize pool is extra big. A total of €30.000 waits for players. The prize for the 1st place winner is an astonishing €15.000. If you’re not signed up to any of these casinos or are simply looking for a new one, now might be the time. We at Quickspin Casinos have a handy list of the casinos and their bonuses for you. We have ranked each casinos based on a couple of important characteristics to make sure you have an enjoyable and safe casino experience. In each of these games, you earn special tournament points during the week. You get 5 points for hitting a scatter and 50 points for triggering the respective games’ free spins mode. The 50 players with the most points win cash. Amounts lie between €30 and €5.000 during daily tournaments and 90€ and €15.000 for wins in the weekend tournament. Let’s talk some more about the slots you can play at this event. It may well be that some of them are already your favourites, but in case you need to know what you can look forward to, read on! For more info you can check your in-depth slot reviews. Goldilocks And The Wild Bears is the oldest slot in this tournament line-up. 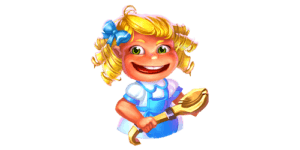 Inspired by Goldilocks Fairy-tale adventure, this slot shows the young girl leading a family of bears by the nose. The lot is filled with wilds in the base game. Special multiplier wilds give you the opportunity to increase your stake up to 4x. There’s more: when you trigger Wild Bears Free Spins feature, you get at least 10 free spins full of wilds. Sticky Bandits is a 5×5 slot with 30 paylines. The name is not incidental – in this wild west adventure, wilds in the free spins round are sticky. All you need to trigger the free spins is a bonus symbol and a wild symbol on the reels. If cowboys are not your thing, how about pirates? Pirates Charm features mystery charms – wilds that keep moving until they encounter a winning combination on the reels. Brave a storm at sea In this 243 ways slot and come away with treasure. 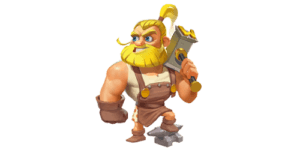 Dwarfs Gone Wild is Quickspin’s flagship slot of 2018. It features 7 different wild features, one for each dwarf. The small men are a funny bunch, and each of them brings a unique personality to this slot with Hollywood-level animations and sound. Eastern Emeralds gives you the opportunity to determine your own fate. In this Asian-inspired slot, you get bet win multipliers in the base game and can choose what you want your free spins round to look like. You have to choose between different numbers of free spins. Each amount of free spins comes with a multiplier. The fewer free spins you decide on, the higher the multiplier for each spin will be.